Slitting machine,the configuration of the sensor, length measuring device, intelligent digital display meter, the cutting length that required can be preset,(unit precision:0.1m) sound alarm when reaching the number. 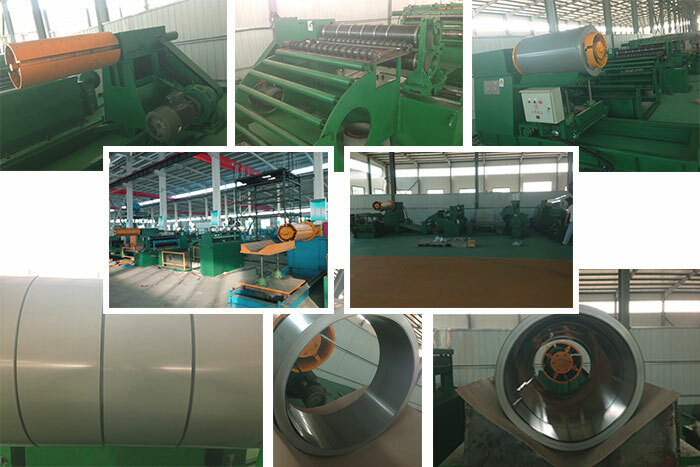 The line is suitable for kinds of CRGO, Silicon steel coil, cold rolled steel strip, hot rolled plates, galvanized strip, color coated plates, stainless steel, tinplate etc. 9. Total length: 11m, width 5m, covereing the area of 55 square meters. The configuration of the sensor, length measuring device, intelligent digital display meter, the cutting length that required can be preset,(unit precision:0.1m) sound alarm when reaching the number. for producing the silicon steel lamination for transformer core. We supply spare parts for our machine,decoiler,transfer table,stack table,punching die,carbide alloy cutting tools etc.